Should we worry about the effects of Snow on our Gardens? In many ways, snow isn’t too much of a worry for our gardens. If it’s deep enough, it can actually protect lawns and act as an insulator for plants, but here in the UK we are often only blessed with a light, icy smattering. However, if we do get a heavy snowfall, then this can cause damage to evergreens and shrubs due to its sheer weight. It can also cause problems for any newly planted vegetable crops. Can Plants be Protected from Icy Conditions? Container plants are the easiest to protect from the snow, as they can be moved into a garage, a greenhouse or under a porch. For the likes of newly sewn vegetable crops, an upturned carboard box or half a plastic bottle will help to protect them for a few snowy days. You could use fleece propped on a frame, but often the weight of the snow will be great enough to buckle the fleece and even the frame, therefore offering little protection. Lawns can fare quite well under the protection of a blanket of snow, but it’s wise to clear any debris such as fallen leaves off of your lawn before the first snowfall, as this can sometimes result in your lawn becoming a muddy, mulchy mess when the snow thaws! Some evergreens and shrubs don’t like the snow because the weight of it can snap their branches. If you have any shrubs you’re particularly fond of, it might be worth going out in the snowy conditions and gently shaking the snow from their branches to alleviate the weight. And the Snowy Silver Lining? Aside from the fact that snow can often act as an insulator and a wind break against icy winds, when the snow melts, it will often water your garden sufficiently through to the warmer spring months! Indeed, many bulbs rely on snow thaw to supply them with their winter water. Snow doesn’t need to be a huge worry for your garden, and a few simple steps will protect your most precious plants. 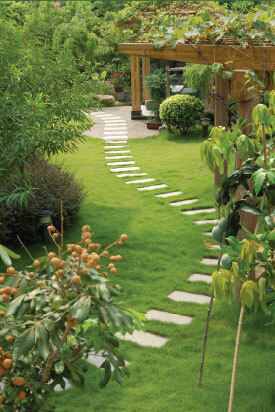 If you’d like your garden to be professionally looked after during the winter months, contact D&G Garden World. We look after gardens year-round in Upminster, Brentwood and Hornchurch, and can take measures to protect your garden from snowfall.